Quality Lockers that will pass your examination! Lockers in schools and hospitals have a lot to put up with. 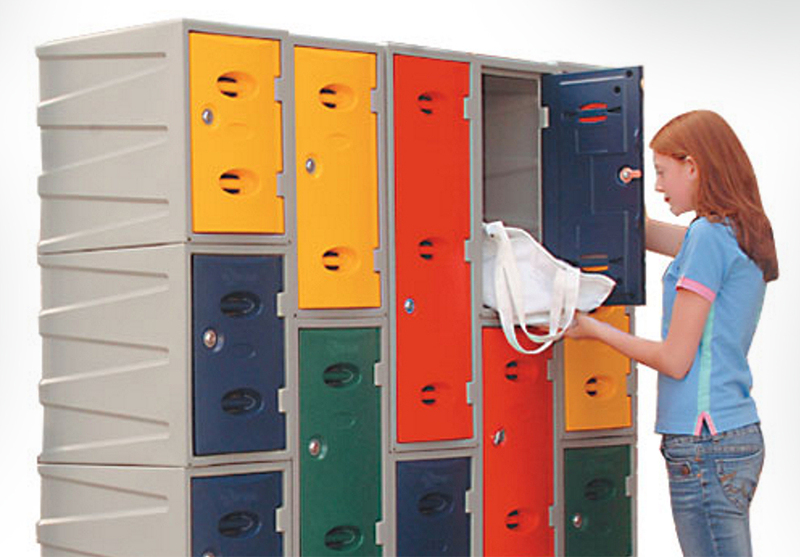 Moresecure lockers are specifically designed to deal with the rigours of an educational environment. They are durable and have reduced maintenance requirements. All of the lockers are made in the UK to the highest quality standards and conform to BS: 4380:1996. Whether you want two or six doors, green or red, the full range of steel lockers allows you to choose the lockers that exactly meets your needs. Moresecure offers the patent-protected BioCote anti-bacterial finish as standard on all internal and external surfaces of our lockers. The BioCote inhibits the growth of potentially dangerous bacteria and fungi, such as Salmonella, MRSA and E Coli. For more information on Lockers please contact our sales team free on 0800 027 1966 FREE.